The new GOP-lead Congress got sworn in and, before they could unpack their offices, introduced the federal 20-week abortion ban as promised. Then, the next day, they introduced four more harmful, restrictive laws. Hal and I talked about why they’re doing it — the politics of pushing the conversation to the extreme “right” and normalizing the language — and what the implications are for 2016. Too soon, you say? Primary fundraising should begin any moment because Iowa is less than a year away. I’m not gonna lie: I was happy to hear Hal would support Hillary in the general because we’ll have to, but he’s not psyched either. Despite our issues with her, though, the optics of a female democratic candidate vs whoeverthedouche the GOP runs is a pretty satisfying thought. Hal riffed on his “God doesn’t care about your hat or He wouldn’t live where he had to look down on the top of your head” bit and I tossed in Carlin’s Pope hat bit on the heals of his GOP “pro-life” hypocrisy bit. The bonus of doing radio with a comic is that you get to infuse comedy into almost any topic, thus making it easier to digest. And, since Hal is predicting another banner anti-equality week for our new Congress, I’m back on next Saturday to talk whatever harmful jerkbaggery they’re following up with. So tune in at 1pmEST/10amPST! Unfortunately for anyone hoping to stick their finger in the air and determine the political and cultural winds, the fabled American centrist voter doesn’t care about abortion. 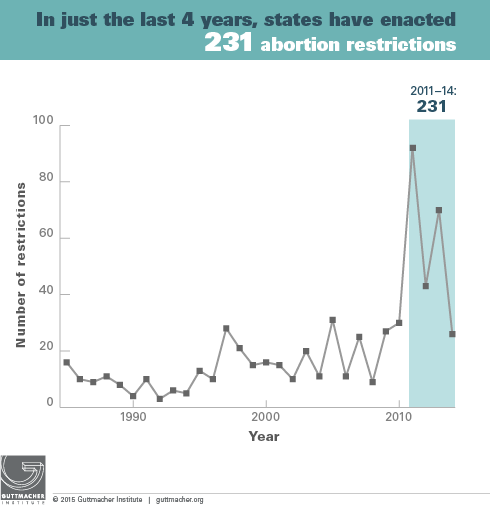 If you poll them directly, they’ll tell you it should remain legal – even if some of the pro-Roe 70 percent thinks there should be “reasonable” restrictions. But if you ask them about their voting habits, you won’t find abortion on the electorate’s checklist. According to Gallup, only about 15 percent of voters require a candidate to share their position on abortion to give them their support – and that includes those self-identified as pro-choice and pro-life. 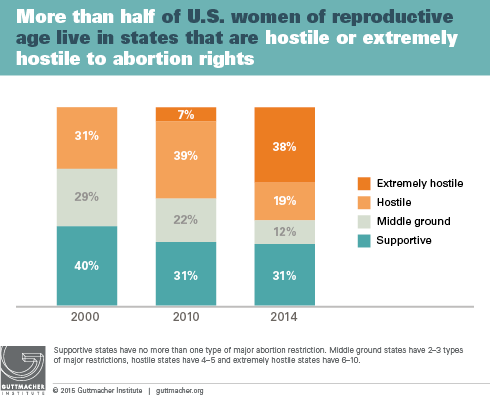 Not even half of voters historically call abortion “one of many important factors.” This data makes the returns from the Hawkeye State on par with national averages. Pro-choicers and pro-lifers would love for abortion’s legality and accessibility to be the voting issue for Americans, but it just isn’t. Which means the election of Ernst and her anti-choice congressional classmates doesn’t say much about the country’s position on reproductive health care. Election 2014 results were a mixed bag of complicated factors and we should be wary of basing strategy on November 4 returns. And, because you’re a subscriber to the blog and not just the audio/iTunes feed, here’s your George Carlin video bonus! First, my favorite Carlin bit of all time: Republican hypocrisy that cares about you till your born and then not again until you’re of military age. And, since, I couldn’t find the exact Carlin bit making fun of hats in religion, so this’ll have to do. Don’t send emails; I’m not anti-religion. Do some poking around my blog. I’m any semantics and hypocrisy and legalistic minutia — as well as anti hypocrisy, which is what expensive head gear on people preaching to the poor is at its core. Read the Bible; neither Jesus nor his dad care much about whether or not you’re wearing a hat.